In Part 3 of our excerpts from the Revitalization of Rivers in India Draft Policy Recommendation, you’ll be introduced to the fundamentals of the document. At the culmination of the month-long Rally for Rivers journey across the country, the Revitalization of Rivers in India Draft Policy Recommendation was presented to the government on October 3, 2017. Want to learn more about exactly how this multi-faceted approach will aid India’s rivers? We’ve provided a series of excerpts from the document for you to explore. In Part 3, you’ll be introduced to the fundamentals of the document, including the key aspects of the proposed solution and an outline of the recommendation. In this country, generations of experiential understanding of our relationship with rivers shaped a culture which perceived rivers as living entities. However, this traditional reverence for rivers has fallen on bad times. Today we conduct rituals on the riversides while simultaneously pumping sewage directly into the river. Our actions show that we have forgotten the deep relationships our ancestors had with rivers. The rivers of our nation are dying. All rivers are at a dangerous level of depletion. In another 15-20 years’ time most of the perennial rivers will become seasonal. If we do not act now, we as a nation may have to face a civil strife of unimaginable proportions – one that results from having no water for 1.3 billion people. If we want our rivers to flow in their full glory once again, it is time that all of us understand why our rivers are dying and work towards a solution. With our rivers being forest-fed, we can revitalize our rivers only by reviving forests. Thus, the Rally for Rivers campaign initiated by Sadhguru aims to raise mass awareness in the country about the state of our rivers so that concerted action can be taken. This can happen only out of our collective and steadfast support – irrespective of our various backgrounds and affiliations – towards a long-term solution spanning 20-25 years. If we fail to act now, the effort needed to revitalize our rivers in the future will be multiplied manifold. The sense of urgency is palpable across the political leadership as, for the first time, Chief Ministers of 16 states and hailing from different political parties have taken to one cause – saving our rivers. The fundamental solution proposed for revitalizing our rivers is tree plantation on either sides of the river for the entire length of the river. In all public land beside the river, the entire land should be converted into forest with native and endemic tree species. In farmland, there should be multi-tier tree-based agriculture practiced for a minimum of 1 kilometer stretch on either sides of the river. The technical sturdiness of this solution has been vouched for by experts from various fields including: policy making, hydrogeology, forestry, natural resource management, soil science, horticulture, micro-irrigation, veterinary science, Farmer Producer Organizations, agri-business, agri-marketing, senior level bureaucrats, project financing, social behavior, farmers’ union leadership, health and nutrition, and from the Food Safety and Standards Authority. While they all gave feedback about different details of the solution – which we fine-tuned accordingly – all were in agreement that the fundamental approach of tree plantation is a feasible and effective solution. Implementing this solution requires: mass awareness of the problem among citizens; development of national and state level policies detailing how to revitalize our rivers; and translation of these policies into programs. 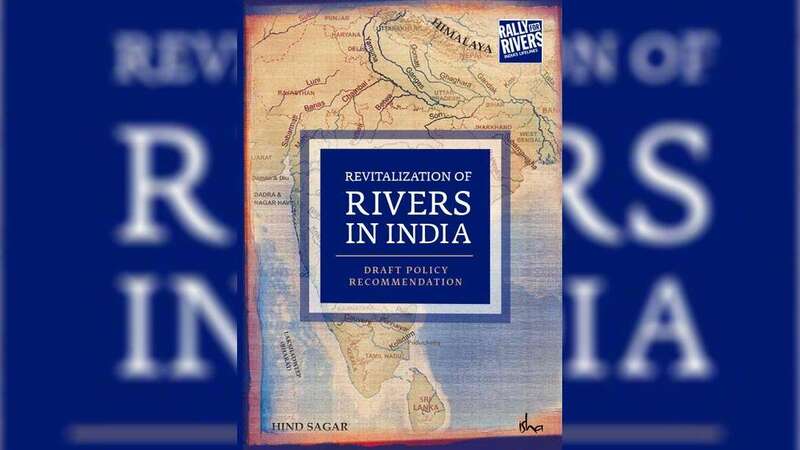 This book articulates how to revitalize rivers – technically and practically, based on certain fundamental principles, and also provides a broad implementation framework. The book is divided into four chapters along with a set of Annexures that contain papers and contributions from many experts. The content of the book draws from our experiences of tree plantation, bettering farmers’ livelihoods and expert contributions (some of which are presented in the annexures). The book is structured as – Chapter 1: Defining the problem and its root causes; Chapter 2: Assessing the technical strength and appropriateness of the solution, i.e. tree plantation and efficient irrigation; Chapter 3: A detailed techno-economic plan of tree plantation for public and farm lands and the required policy support system to assess the principle stakeholders in the adaptation of a solution; finally Chapter 4: The implementation framework for the techno-economic solution and the regulatory framework required to control pollution and misuse. Find out how one warm-hearted biker braved the Himalayan cold to spread the word about Rally for Rivers to even the remotest regions of India.